Advanced minimally invasive surgeons in Fort Myers, Florida at Surgical Healing Arts Center are forward thinking and now use Innovative Full Spectrum Endoscopy® Procedure for increased visualization of the stomach and colon. Our facility is one of the first in the nation to use EndoChoice’s (NYSE:GI) Fuse® endoscope system. FORT MYERS, Florida. (January 15, 2016) –“Simply, using such highly advanced technology only benefits the patient with a better screening-leading to early detection and saving lives earlier” states Dr. Moses Shieh, D.O., Surgical Healing Arts Center. Although colonoscopy exams prevent many colon cancer deaths and are the gold standard, for detecting colorectal cancers, the procedure is not completely effective in preventing cancer cases. For this reason, Surgical Healing Arts Center has invested in an innovative technology that allows doctors to see nearly twice the anatomy seen with a traditional, forward-viewing endoscope. The endoscope used in the first examination was selected randomly. After the first inspection, each patient immediately underwent a second colonoscopy performed by the same doctor, but with the competing endoscope. The 185 patient trials showed standard, forward-viewing endoscopes missed 41% of potentially pre-cancerous lesions, or adenomas, while the Fuse system missed just 7%. 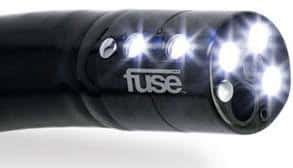 Additionally, Fuse found 69% more adenomas when compared to standard, forward-viewing endoscopes. The results of this clinical study were recently published in The Lancet Oncology. Patient scheduling with the new Fuse system is now underway at Surgical Healing Arts Center. More than 15 million colonoscopies are performed across the United States each year and most insurance companies cover the costs for those patients over age 50.